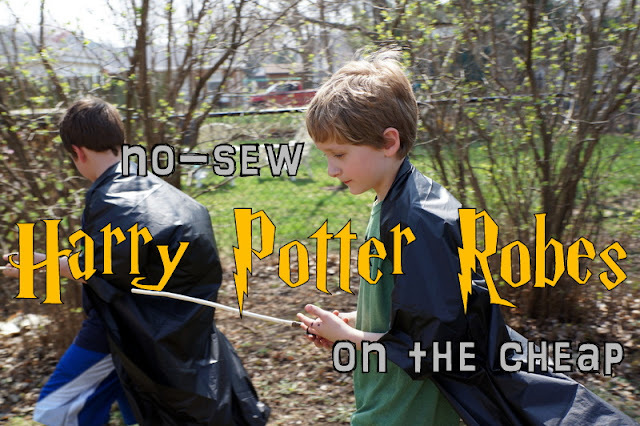 tiny scissor times: How to make Harry Potter robes out of plastic tablecloths. Well, I meant to write this post about 8 months ago, right after I threw my son a Harry Potter party in March. 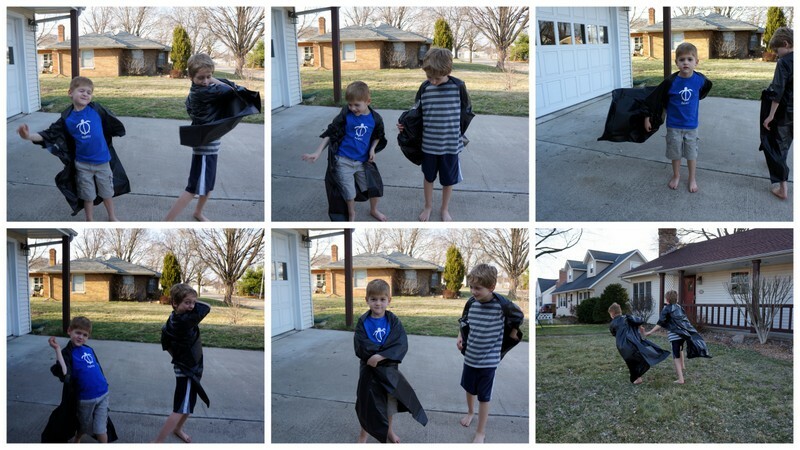 Life got in the way, but I've had a few requests for a how-to on the robes I made for the kids out of black plastic. So here it is! Better late than never? My main goal for these robes was that they be cheap and quick. I had a lot of other details I was working on for the party (You can see the full write-up of the party here.) 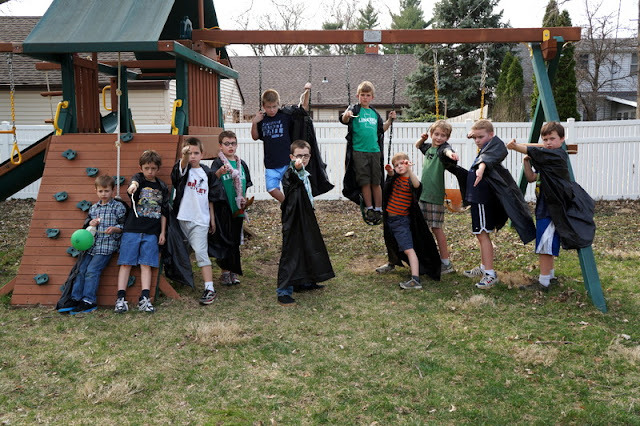 Spending lots of time or money on robes for wild boys who would probably just destroy them anyway was not appealing. These robes are great because they require no sewing. 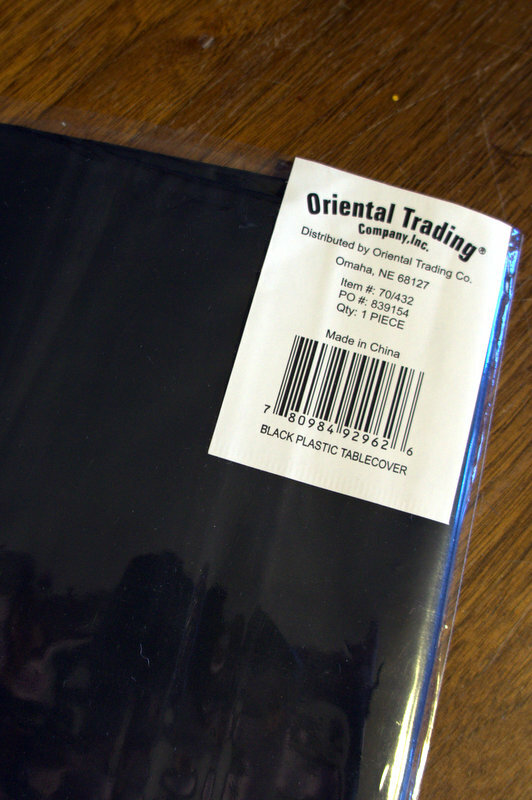 The only supplies necessary are black plastic and packing tape. I held the plastic up to my kid before I cut it down to size. I tried to make it extra loose for him, because he's such a skinny guy and I knew some of his guests would be a little bigger. 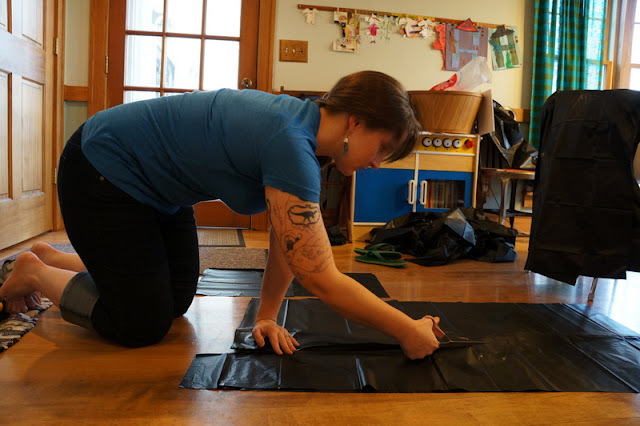 So I'll tell you the measurements I used, but these are approximate, and you might need to adjust them to the size of your child. I was making them for 9 & 10 year olds. If your kids/guests are older or younger, you'll need to adjust for that so they're not tripping over their robes all day, or busting at the "seams". 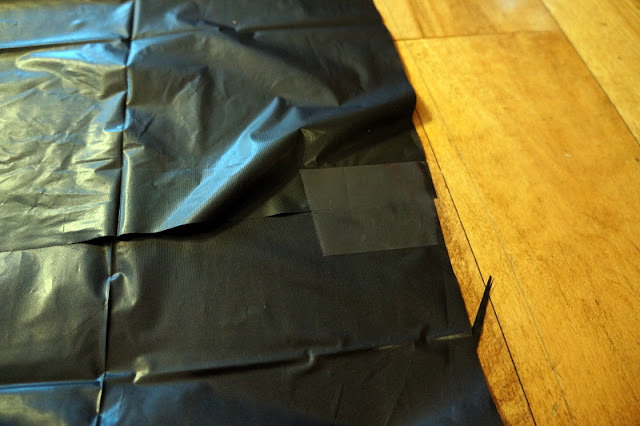 I cut my plastic table covers down to approximately 40"x46". Use your kids as models and cut your plastic down to the size you think will work. It's cheap enough that you can try a couple of times until you get it right! Fold down the top about 8 inches. Place a piece of packing tape at the far edges of the fold, to hold the fold in place. 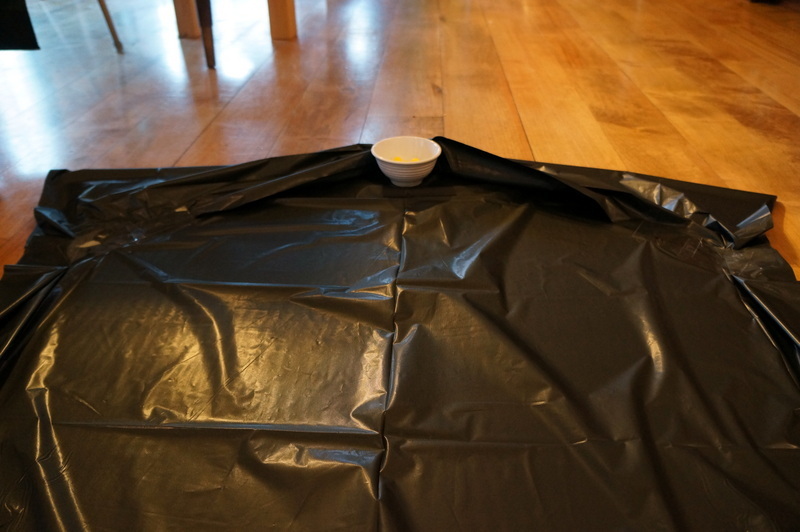 This will make the opening of your robe's sleeves. 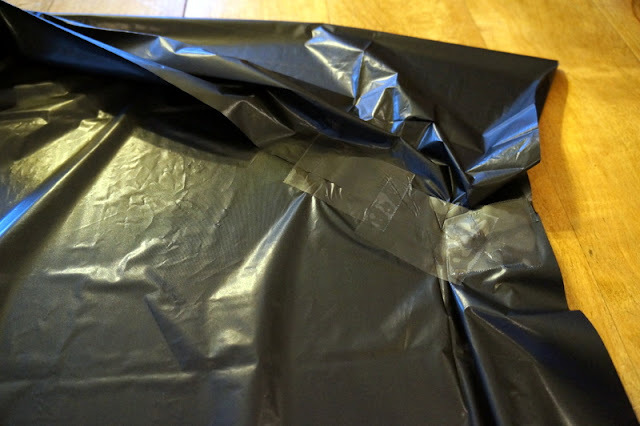 While the folded down plastic is being pushed upward, it should create angles that can be taped down in order to create sleeves. Flatten out the edge of the plastic and tape it down. Don't tape all the way up to the top. You have to leave room for arms to get in! 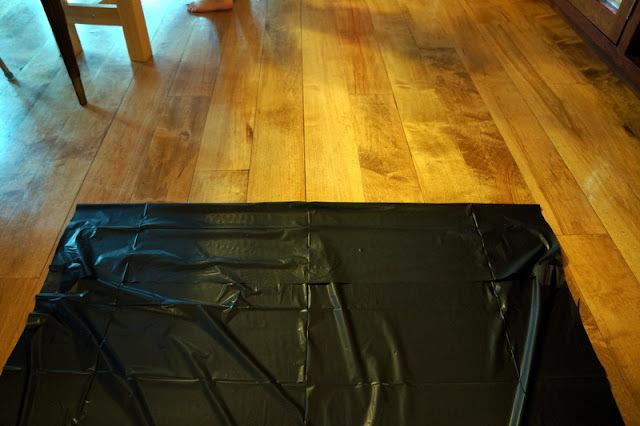 Tape at an upward angle for about 6 inches. Play around and see what works for you and your child. 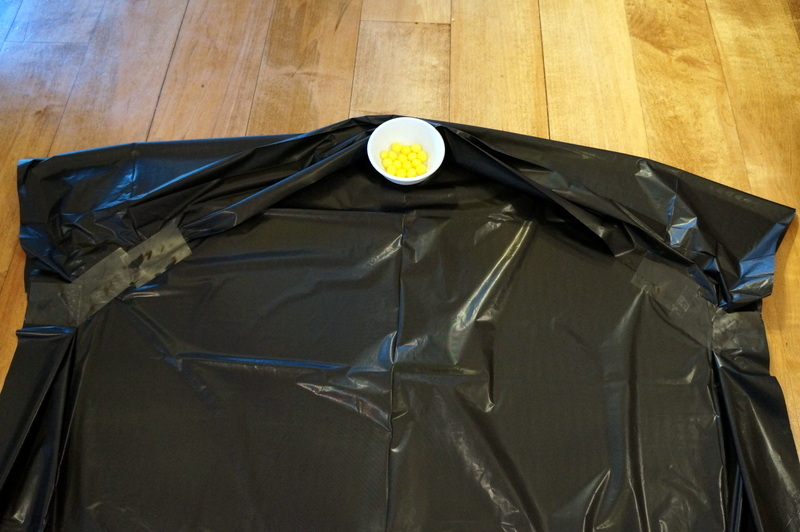 Easy, cheap, quick, and totally fun on party day. Cool idea, and obviously well-received by the boys. 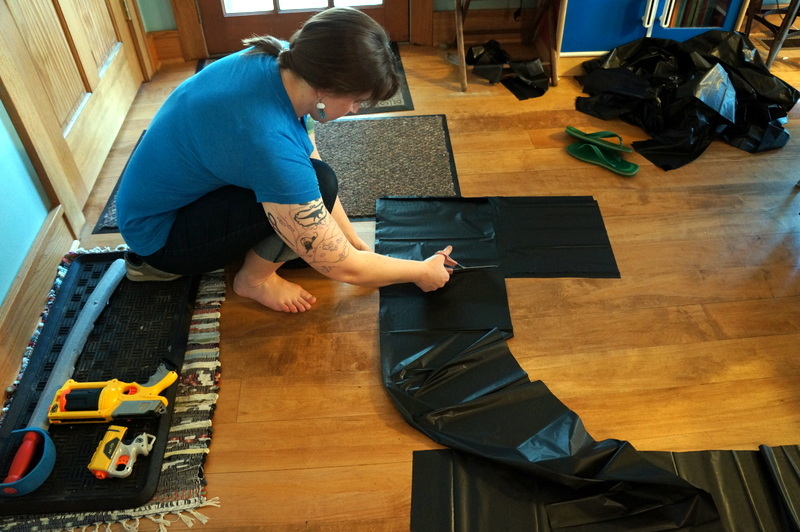 Kudos to you for frugal creativity!